Can the Knicks get Chris Paul without things getting very complicated? Yes. Here is how. Step 3. J.R. Smith invites Rockets GM Daryl Morey out for a night on the town (Clubbing). This entry was posted in Articles and tagged can the knicks get chris paul, can the knicks get cp3, chris paul, chris paul free agent, chris paul knicks, chris paul new york knicks, cp3, cp3 knicks, how the knicks can get chris paul, how the knicks can get cp3, jr smith clubbing, KNICKS, knicks free agent, KNICKS MEMES, knicks rumors, rockets chris paul, where will chris paul sign, will the knicks get cps on June 8, 2013 by Tommy Rothman. 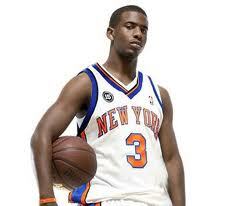 HOW ABOUT “HOW CAN THE KNICKS GET JEREMY LIN BACK?” Wow, there is no possible way they will get CP3. Nada. Maybe Melo will dream of CP3 passing him the ball every play, jab step 15 times, then shoot it and miss it. No disrespect to Melo.